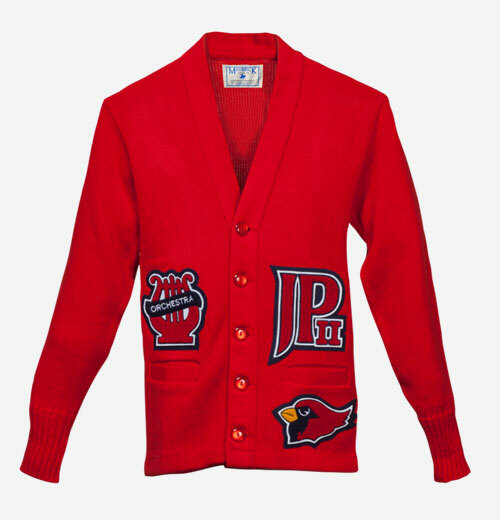 Letter Sweaters and cardigans are part of a school tradition that dates back many years. Available in a range of colors, letter sweaters are a softer, lighter weight alternative to a letter jacket. 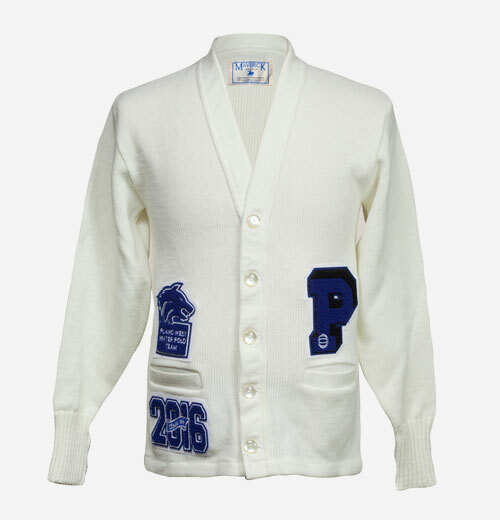 Custom Chenille Letters and Patches can be sewn on the varsity letter sweaters allowing students to showcase their achievements in a classic style. Knit from 100% acrylic yarn, letter sweaters are available with one, two or three stripes on the sleeves, contrasting trim and your choice of button color. Available in even sizes from 30-50.